The Aussies dominated the recent Master Worlds with Gavin, Brett, and Mark each winning their divisions. 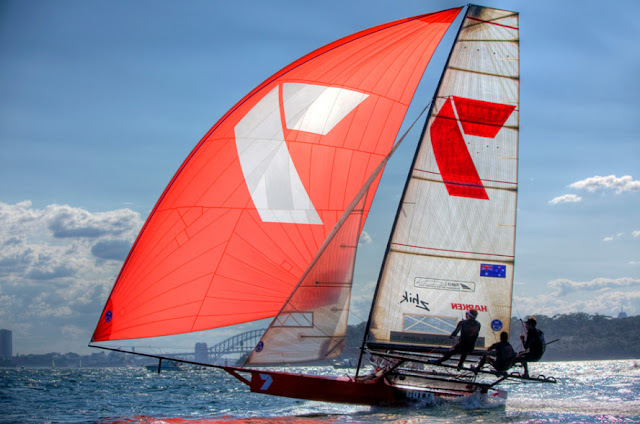 I've had a 40-year connection with Australian Laser sailors, but that was never the plan. 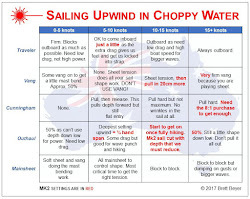 I went to Sydney to learn how to be a better crew, not how to be a better skipper. As I mentioned in this post, I arrived in Sydney as a 20 year old kid out to see the world and to crew on one of the famous 18-footers. My first stop was Double Bay that had one of the two two skiff sailing clubs. After some very strong beers (12% alcohol!) 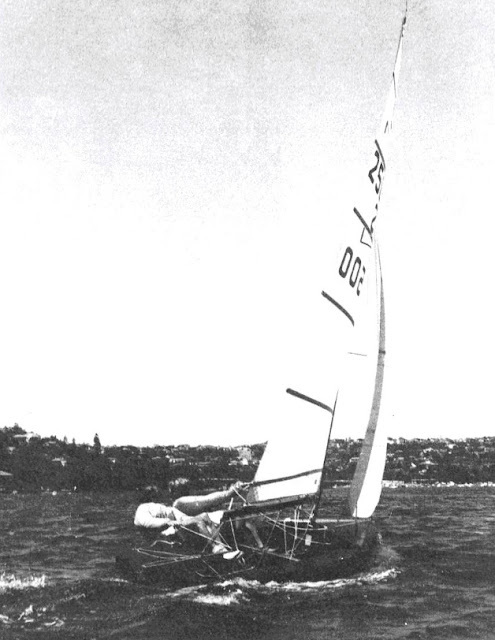 I was introduced to Art Mayer (related to Louis B Mayer) who owned one of the older skiffs. We went to his boat shed and I saw something that I had never seen before - lots and lots of controls on a low, sleek hull built for speed. 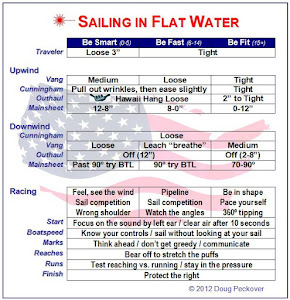 After a few minutes of chatting, Art looked at me and said, "this is not what you want to be sailing." I was crushed. "Why not? This is why I came to Sydney." "You see, for every hour on the water, you'll have to spend three hours working on this boat." "What would you do if you were me?" Art paused for a moment and then said, "I'd call a gentleman by the name of Frank Bethwaite." It turned out to be some of the best advice I ever got, and began a 45-year friendship with the remarkable Bethwaite family. Within 2 weeks of arriving in Sydney, I was helping Frank in his factory and taking pictures of him and Julian testing different settings. this picture changed his thinking about how rigs work. At Frank's invitation, I became the race secretary of this development class, called the NS-14, and today its DNA can be found in every high performance boat in the world. Frank, Julian, Nicky, and Mark have all been at the leading edge and have all won world championships. Their friendship and mentoring changed my life. Of course, my path would have crossed with the Bethwaites because of the huge impact that Frank and Julian had on skiff sailing. Here's what it looks like today. This looks like a blast, but it's not something that I could have physically done for very long. I could well have ended up crewing on bigger boats. For me, staying on as a skipper in smaller boats like NS-14s, then Moths, and then Lasers was definitely the best option for me. 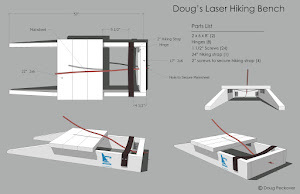 I treasure the pure competition that Lasers offer, the travel to events around the world, the sharing on this blog, and many friends that Pam and I have made.